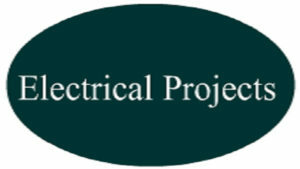 Electrical engineers typically hold a degree in electrical engineering or electronic engineering. Practicing engineers may have professional certification and be members of a professional body. Such bodies include the Institute of Electrical and Electronics Engineers (IEEE) and the Institution of Engineering and Technology (professional society) (IET). This paper presents a new group for multilevel converter that operates as symmetric and asymmetric state. The proposed multilevel converter generates DC voltage levels similar to other topologies with less number of semiconductor switches. It results in the reduction of the number of switches, losses, installation area, and converter cost. To verify the voltage injection capabilities of the proposed inverter, the proposed topology is used in dynamic voltage restorer (DVR) to restore load voltage. 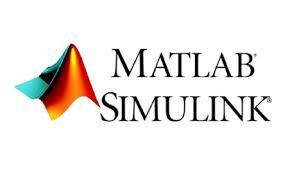 The operation and performance of the proposed multilevel converters are verified by simulation using SIMULINK/MATLAB and experimental results. Fig. 2. Proposed topology with four DC voltage sources. Fig. 3. (a) Supply voltage, (b) DVR injection voltage, and (c) load voltage for the three-phase balanced voltage sag. Fig. 5. (a) Supply voltage, (b) DVR injection voltage, and (c) load voltage for the three-phase balanced voltage swell. Fig. 6. Output phase voltage in fault (swell) time. In this paper, a novel topology was presented for multilevel converter, which has reduced number of switches. The suggested topology needs fewer switches for realizing voltages for the same levels of output voltages. This point reduces the installation area and the number of gate driver circuits. Therefore, the cost of the suggested topology is less than the conventional topology. Based on the presented switching algorithm, the multilevel inverter generates near sinusoidal output voltage, causing very low harmonic distortion. The suggested inverter used in DVR does not require any coupling series transformer and has lower cost, smaller size, and higher performance and efficiency. Simulation results verified the validity of the presented concept. Z. Pan, F.Z. Peng, “Harmonics optimization of the voltage balancing control for multilevel converter/ inverter systems”, IEEE Trans. Power Electronics, pp. 211-218, 2006. L.M. Tolbert, F. Z. Peng, T. Cunnyngham, J. N. Chiasson, “Charge Balance Control Schemes for Cascade Multilevel Converter in Hybrid Electric Vehicles,” IEEE Trans. Industrial Electronics, Vol. 49, No. 5, pp. 1058-1064, Oct. 2002. S. Mariethoz, A. Rufer, “New configurations for the three-phase asymmetrical multilevel inverter,” in Proceeding of the IEEE 39th Annual Industry Applications Conference, pp. 828-835, Oct. 2004. J.Rodriguez, J.S. Lai, F.Z. Peng, “Multilevel Inverter: A Survey of Topologies, Controls, and applications”, IEEE Trans. on Industrial Electronics, Vol. 49, No. 4, August. 2002. This paper presents a binary topology of Multimodule level inverters produce a staircase output voltage from renewable DC voltage sources. The MLI (Multi Level Inverter) Requires many number of semiconductor switches is main drawback of multilevel inverters. The MLI can be classified as two method, one is symmetric and another asymmetric converters. In symmetrical multilevel inverter can apply same voltage level to all cascaded circuit, in asymmetric multilevel inverters can be vary input source voltage at each cascaded H-bridge by using binary algorithm. In this paper, a discrete binary topology for multilevel converters is proposed using cascaded sub-multilevel Cells. This sub-multilevel converter can produce sixty three levels of voltage from five discrete DC source. The Total Harmonic Distortions (THD) is minimized by discrete binary topology. The working operation and performance of the proposed multilevel inverters studies has been verified by simulation of using SIMULINK / MA TLAB results. (G I ,G 2,G3,G4,G5) Wave Form of Cascaded Multilevel Inverter. In this paper, a discreet binary topology was presented for cascaded multilevel Inverter, which has reduced number of thyristor switches. The suggested discreet binary topology requires limited switches for synthesized output voltages. The hybrid topology of common h-bridge cascaded multilevel inverter is proposed for variable AC output voltages and frequencies as per given source input by using reduced no of switches to half than conventional inverter. Therefore, the cost of proposed system reduced. As a result, the output voltage waveform presents very low total harmonic distortion profile and provides better efficient. The application of this project is ups and variable speed drives which result in high dynamic response for speed. [I] Jaison Mathew, K. Mathew, Najath Abdul Azeez, P. P. Rajeevan, and K. Gopakumar, “A Hybrid Multilevel Inverter System Based on Dodecagonal Space Vectors for Medium Voltage 1M Drives,” IEEE Transactions On Power Electronics, Vol. 28, No.8, August 2013. [ 2] Dong Cao, Shuai Jiang, and Fang Zheng Peng, “Optimal Design of a Multilevel Modular Capacitor-Clamped DC-DC Converter,” IEEE Transactions On Power Electronics, Vol. 28, No.8, August 2013. P.Roshankumar,P.P.Rajeevan,K.Mathew,K. Gopakumar, Jose I. Leon, and Leopoldo G. Franquelo, “A Five-Level Inverter Topology with Single-DC Supply by Cascading a Flying Capacitor Inverter and an H-Bridge,” IEEE Transactions On Power Electronics, Vol. 27, No.8, August 2012. Qin Lei, Fang Zheng Peng, and Shuitao Yang, “Multiloop Control Method for High-Performance Microgrid Inverter Through Load Voltage and Current Decoupling With Only Output Voltage Feedback,” IEEE Transactions On Power Electronics, Vol. 26, No.3, March 20 II. M. R. Banaei and E. Salary, “Verification of New Family for Cascade Multilevel Inverters with Reduction of Components,” Journal of Electrical Engineering & Technology Vol. 6, No. 2, pp. 245-254, 2011 D01 :IO.5370/JEET.2011.6.2.245. Power Electronics is the study of switching electronic circuits in order to control the flow of electrical energy. Power Electronics is the technology behind switching power supplies, power converters, power inverters, motor drives, and motor soft starters.